Want to do work in Railway department then, now you have great chance to start doing a career in Indian railway department with the Posts of Retired Staff & other posts, Group D Level-1 Posts and get selected on the basis of merit list (As per Qualifications). As RRC Northeast Frontier Railway department inviting interested candidates for appointed of 2894 Group D Level-1 Posts Bumper Posts Jobs vacancy under Railway recruitment cell overall in Guwahati. If you possess minimum eligibility (As mentioned Below) then, you can do online registration from the official portal website of RRC Guwahati & Rangiya Division i.e www.nfr.indianrailways.gov.in (Note: No other Apply Method will be accepted). We are requesting the candidates that, they must first go through official notification & all important detail regarding RRC NFR recruitment 2019. RRC, Guwahati has authorized to recruitment intended candidates under Group C & Group D Posts under Northeast Frontier Railway zone. Railway recruitment cells are responsible for recruiting Group C & Group D Posts in Indian Railway. Now, current running vacancies Posts is Level-1 Posts. Who’s application form available from 12-03-2019 to 12-04-2019. Below we share all rrb nfr recruitment current running & upcoming Posts notification detail so, stay tuned with us. 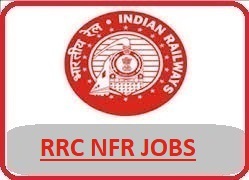 If you are not eligible for RRC Northeast Frontier Railway (NFR) Current running notification then, you can also check other 17 railway recruitment cells wise Jobs notification from the link Below. If you are looking for more notification to be released by Railway recruitment under Northeast Frontier Railway cell then, you can visit this page every day or just subscribe our website to get direct recruitment in your E-mail So, that you never miss any Jobs notification from nfr railway recruitment cell. Respected sir, my name is min Bahadur Rai and I have completed b.com from dimapur govt college Nagaland in year july2012. I the only son in my family,my father is suffering from cancer and I am still job less,so sir please provide me a job as soon as possible in railway department.my contact no:9774043329.
i am working in usa based mnc with good salary in gurgaon. but i always want to work for indian govt. all my colleagues are very talented professional and confident. but we are deprived as we are general. so we are working for other countries. I want to be a part of indian govt. Can i get an opportunity to prove myself and bestow all my knowledge and perseverance towards my country ? Hi my name is Ganesh Paul .iam clplete H/S.i recuied job .thank you railawy minister sir.